The authority has suggested new pay stations on eight existing roads, as well as an extension of tolling on the M50. THE NATIONAL ROADS Authority has revealed it is seeking advice on levying new tolls, after running into trouble as traffic levels drop. The organisation yesterday placed a request for consultants to examine “new tolling arrangements” on the Government’s e-tenders website for external contracts, the Irish Examiner reports. It is hoping to optimise its revenues from the three toll arrangements under its direct control, and possibly expand tolling to other existing roads. 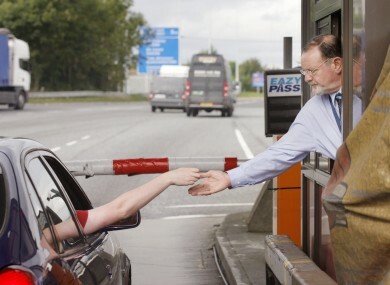 Minister for Transport Leo Varadkar said last week “consideration” was being given to the introduction of new tolls. The NRA’s National Roads Traffic Management Study, published in February, published in February, suggests a number of new locations. They include the M1 at Dundalk, the N11 at Arklow, the N9 bypassing Carlow, the N18 at Ennis, the N17/N18 at Tuam and the N20 at both Croom and Mallow. It has also been suggested that the M50 toll could be extended to several points along the motorway, and the Jack Lynch tunnel in Cork could be tolled. According to the Irish Times, the NRA is paying almost €500,000 a month to the private companies running the M3 motorway and the N18 tunnel in Limerick, because traffic volumes are not as high as anticipated. This is more than the authority’s total revenue from other tolls. Email “Drivers face new tolls as NRA seeks to raise money”. Feedback on “Drivers face new tolls as NRA seeks to raise money”.